Georgia gardeners can encounter 12 species of oak within that state, including the live oak, basket oak, water oak and chestnut oak. 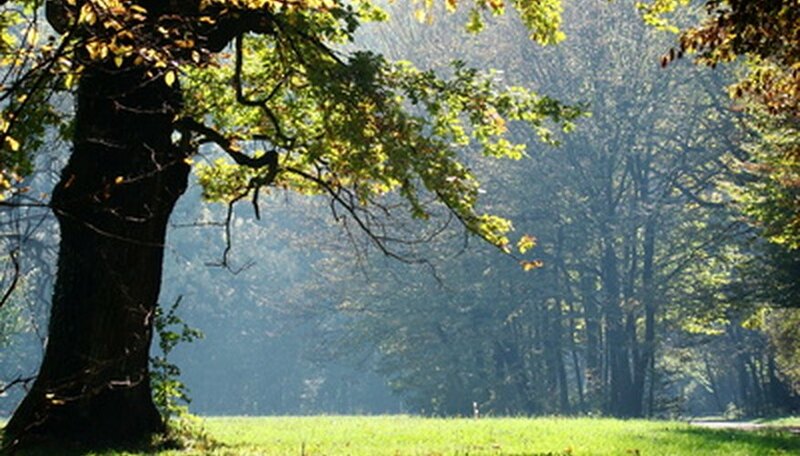 Oak trees vary in distribution throughout the state; each tree displays slightly different leaves, acorns and shape. Practice identifying oaks in the late spring when the tree's leaves have spread since it's easiest to identify oaks by their leaves. 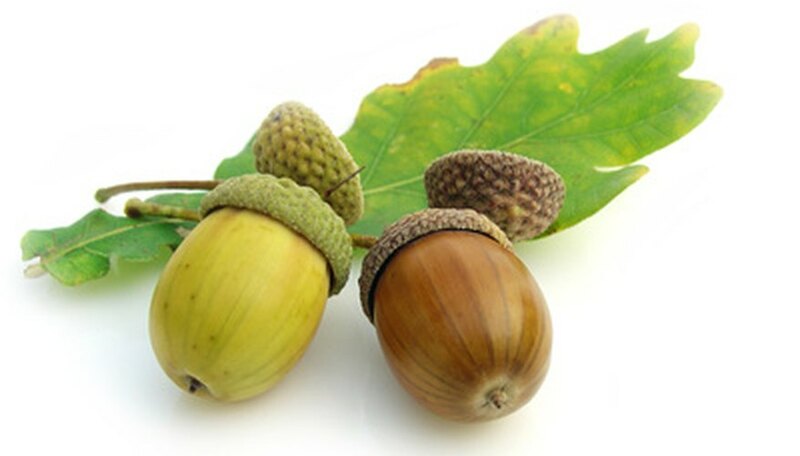 Identify oaks to choose a good landscape tree for your yard or to harvest acorns for decorative purposes or acorn meal. Check the shape and color of the tree leaves and look for acorns to confirm that you have found an oak tree. Look on the ground for fallen acorns or examine low-hanging branches. Oak leaves have a lobed or webbed look like an oval with scalloped edges. All oaks have brown leaves in the autumn and olive green leaves through the rest of the year. Examine the edges of your oak leaf. They will either be pointy or rounded; their shape will determine whether the tree belongs to the red or white oaks. If the leaves are rounded, the tree is a white oak; red oaks have pointy tips. The University of Georgia notes that the white oak (Quercus alba ) is the most common oak tree in north Georgia but is less common in the south of the state. Scarlet oak and Southern red oak are two of the red oak members Georgia gardeners can see. Review the list of native oak trees published by the University of Georgia (see Resources) in its native plant guide. This guide provides information about the size of the oak tree and its preferred location and growing environment within Georgia. View images of each tree's leaves, acorns and mature form to make an accurate identification of the oak tree.